It is the curse of the popular comic actor to be eventually harangued for always playing the same part. This tends to be a reductive criticism for a couple of reasons. For one, playing the “same” part is how a comic persona develops, going all the way back to silent film. For another, plenty of comedians have more range, even in broad comedies, than their reputations suggest. Take Melissa McCarthy, star of The Boss, and perhaps the most popular comic performer currently working in Hollywood. 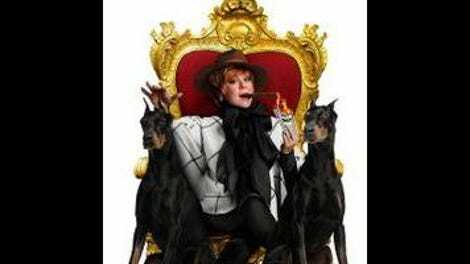 In her new film, she plays Michelle Darnell, the “47th wealthiest woman in America,” who conducts herself with the loud bravado recognizable from other McCarthy comedies. But Michelle has a boisterous arrogance missing from McCarthy’s character in Spy, and a put-together (if ridiculous and turtlenecked) style far removed from her character in The Heat. Apart from some mild inconsistencies about how sheltered Michelle’s wealth has made her, the character is clear and distinct from other McCarthy creations. The weakest McCarthy comedies have resulted not from her recycling her persona so much as bundling together a grab bag of tics into a vaguely familiar but mostly incoherent character. Tammy, one of her worst offenders in that regard, was co-written and directed by Ben Falcone, McCarthy’s husband and creative partner. McCarthy and Falcone reteam for The Boss, with Falcone back behind the camera and co-writing the screenplay with McCarthy and Steve Mallory, and the improvement is substantial in that this movie is funny and mostly makes sense. Maybe the character’s long history helped the filmmakers get a bead on who she is; McCarthy first played Michelle Darnell during her stint in The Groundlings. Here she’s rounded out with a somewhat pat backstory: The movie opens with Michelle, an orphan, being dumped by a succession of foster families, before giving up on the idea that a family could help or support her in any way. Years later, she’s fabulously wealthy as a nebulous sort of businessperson, seeming adept primarily at turning money into more money and secondarily at thoughtlessly frustrating her long-suffering assistant Claire (Kristen Bell). When Michelle gets busted for insider trading as part of a takedown of her business rival Renault (Peter Dinklage, wonderfully nutty as a man who used to pronounce his name “Ronald”), she emerges from prison homeless, penniless, and friendless. Single mom Claire and her little daughter Rachel (Ella Anderson) take pity on her and let her crash with them, and when Michelle takes Rachel to her Girl Scout-ish Dandelion Troop meeting, she gets a new business idea. If this all sounds like a long wind-up to Melissa McCarthy selling Girl Scout cookies, it’s because The Boss’ story tends to lurch ahead suddenly, and does so all the way through a manic, heist-driven, sword-fight-accented climax. But this silliness plays a lot better here than it did in Tammy, and McCarthy gets a lot of laughs. She finds new outlets for her physical comedy (playing a whole scene with a dental brace holding open her mouth into a terrifying sort of grin) and her boundless facility with insults and threats (a McCarthy staple put to great use when she encounters some former colleagues). She’s also supported by an impressive supporting cast that includes Kristen Schaal, Timothy Simons, Kathy Bates, and Cecily Strong. But only Dinklage and low-key straight woman Bell make much impression. Falcone still doesn’t offer much behind the camera. With the exception of a sustained Anchorman fight knockoff, he often refuses to punctuate visual jokes to such a degree that some of them play more like descriptions of ideas for gags. (There’s a particular surprise appearance of McCarthy that should kill, but doesn’t.) This wouldn’t be a problem if his dialogue scenes had more rhythm; unfortunately, they tend to proceed in sluggish back-and-forth set-ups. But comedy, perhaps more than any other genre, doesn’t have to lean on advanced filmmaking to work. A lot of The Boss works because Michelle Darnell is a funny character, and McCarthy is funny playing her. And as abrasive as Michelle is supposed to be, the movie generates warm feelings (even when Michelle wreaks terrible vengeance on a Dandelion mom played by Annie Mumolo). This may be due in part to the way McCarthy’s comedies are unapologetically female-centric, and often minimize, as this one does, the obligatory acquisition of a romantic happily ever after. Just dumping that one conceit leaves so much room for the movie to goof around. The Boss, without quite reaching the heights of McCarthy’s work with Paul Feig, establishes its star as sort of a comic auteur—which is not the same as repeating herself.